What is Kiehl’s Precision Lifting Pore-Tightening Concentrate? As per the manufacturer Kiehl’s Precision Lifting & Pore-Tightening Concentrate is a skin care formulation that visibly lifts the skin while at the same time re-shaping the contours of the face. 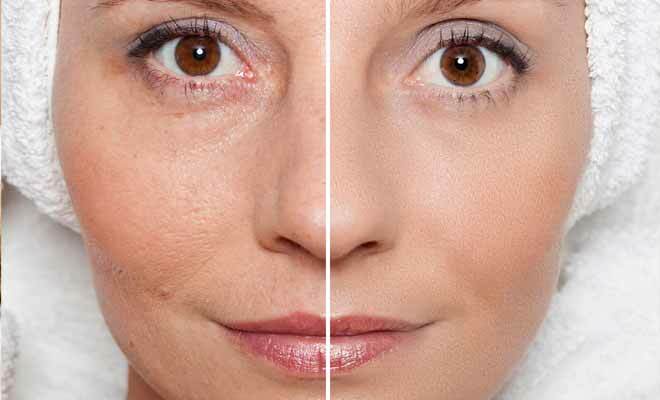 It also noticeably tightens the skin in order to reduce the appearance of enlarged pores. It uses special active ingredients namely geranium essential oil and yeast extract which are both proven to improve the elasticity of the skin. The formula also helps reduce the severity of skin aging signs specifically fine lines and wrinkles. One 1.7 oz. container is priced $64 online. Kiehl’s is an American cosmetics company that specializes in premium skin, hair and body care products. It started in 1851 as a single pharmacy and the company has grown to more than 250 retail stores all over the world. The company was purchased by the L’Oreal Group in 2000 and has become one of the most popular brands in the beauty industry today. The company is known for their unorthodox marketing approach and it is well-known as a brand for men thus the simple and straightforward packaging of their products. The brand has established an impeccable reputation in the skin care industry. Kiehl’s Precision Lifting Pore-Tightening Concentrate Does It Work? Kiehl’s Precision Lifting & Pore-Tightening Concentrate uses a special combination of active ingredients that make the skin firmer and smoother. It also works to improve the appearance of the skin’s contours and definition. The formula also reduces the size and appearance of pores that are enlarged due to any reason. The serum also helps restore the youthful elasticity of the skin in order to reduce the severity of fine lines all over the face. There are also ingredients that soothe the skin to reduce inflammation which improves its appearance and texture. What are the Ingredients in Kiehl’s Precision Lifting Pore-Tightening Concentrate? Water/ Aqua: helps in retaining the moisture of the skin making it moist and soft with a glowy effect. Butylene Glycol: beneficial ingredients to penetrate the skin, with the remainder sitting on the skin surface and doing little good for skin health. By increasing skin penetration, butylene glycol can boost the overall effectiveness of the product. But one of the likeliest side effects from this chemical is the potential for skin irritation. It is a special formulation for reducing pore size, but can also reduce oil secretion making skin dry and scaly. Apply Kiehl’s Precision Lifting & Pore-Tightening Concentrate on clean, dry skin preferably after cleansing. Apply the serum all over your face then massage gently into the skin to ensure thorough absorption. Let it dry for several minutes and allow the formulation to be thoroughly absorbed by the skin before using other skin care products or wearing makeup. Does Kiehl’s Precision Lifting Pore-Tightening Concentrate have any side effects? Perform skin testing to check sensitivity to the formula. If irritation occurs, discontinue use since this may indicate that you are hypersensitive to any of the ingredients. If you have highly sensitive skin, it would be advisable to consult your skin care professional before using this product. After extensive inspection of Kiehl’s Precision Lifting & Pore-Tightening Concentrate, it is a good skin care product specifically for enlarged pores. The formula offers good lifting and tightening effects on the skin using special natural extracts. The main problem is the high price of the product but there are many good reviews from people who have tried it saying it is an excellent skin care formula. Overall, this is an above average skincare product worth trying.